Mushroom Remedy is always committed to provide the best All Natural and Made in USA products for our customers. Hence, customer satisfaction is always the top priority for us. We bring the Best of Nature to you. Therefore, we are proud to provide you with YOUR SATISFACTION OR YOUR MONEY BACK! The product is warranted for 60 days from the purchase date. 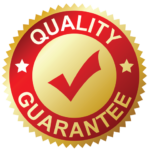 If our products do not meet your expectations, then return the remaining product and we will promptly refund you for the unused portion.